Cory-Merrill real estate rests in a quiet, upscale residential community located just south of Bonnie Brae between Mississippi, I-25, Marion and Colorado Boulevard. Residents here are close to urban life, yet a feeling of “neighborhood” is sustained. Here we find an elevated quality of life, with scenery, recreation opportunities, and the amenities to match. Most homebuyers find this setting and location ideal. Cory-Merrill ranks well near the top, on Denver’s list of upscale neighborhoods. Cory-Merrill real estate is a market with a good number of oversized lots. As a result, this area has spiked in the number of home remodels. Brick Tudors, and new two-stories, with more square footage on the same lot footprint, are changing the landscape here, as newer larger homes replace older smaller ones. Considered luxury living in the heart of Denver. 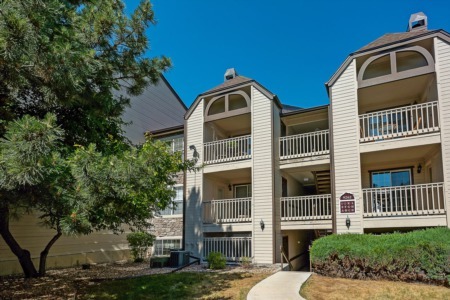 Cory-Merrill is conveniently located near Cherry Creek, and Bonnie Brae village, where numerous shopping opportunities are to be found. Residents enjoy quick-access to I-25 and additional services on the north-south Colorado Boulevard corridor. Nearby Washington Park provides a welcomed diversion from the fast pace of modern life. Nestled in a beautiful area near downtown Denver, Cory-Merrill presents with wide tree-lined streets, corner churches, and the local library. You get the picture.